Well, Scouts, today’s the big day! 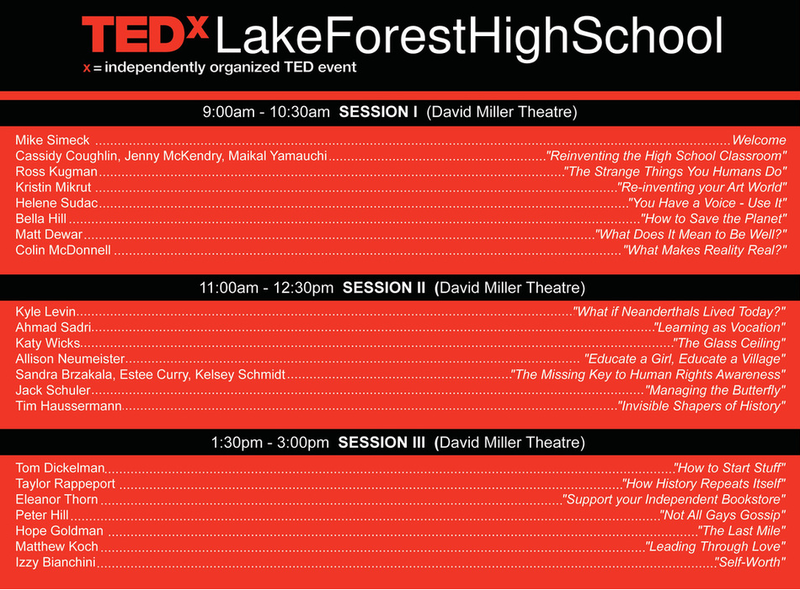 TEDxLakeForestHighSchool is here! There are some amazing speeches from both the community members and students we can’t wait to see. To take a look at the speaker bios and speech blurbs click here. Some fantastic talk titles right there–we can’t wait to see them! The library is closed for the day to everyone except TEDx participants. We’re streaming the speeches on the big screen for classes to come down and watch!